Is it better value to buy a mobile phone on a contract or to buy a SIM only handset upfront on credit? I recently received an interesting e-mail from a Ken’s Tech Tips reader comparing a mobile phone contract to a consumer loan. 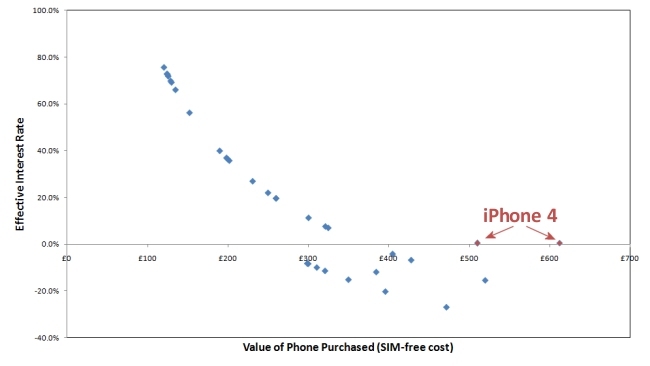 I think it’s a fascinating way to analyse the features and costs of a mobile phone contract and to determine whether it really provides good value or not. In this article, I present another framework for analysing mobile phone contracts. This involves calculating the “effective interest rate” associated with a mobile phone contract. This rate should approximately be comparable to the interest rate charged on a loan if you were to borrow the money to buy a new phone instead. The aim of this article is to compare the approximate costs of buying a phone on a contract compared to buying a phone on consumer credit. As a disclaimer, I’m not in the business of giving financial advice nor am I qualified to do so. Taking out a consumer loan may involve additional risks (for example the risk your home could be repossessed if you fail to keep up with repayments). 1 Why is a mobile phone contract just like a consumer loan? 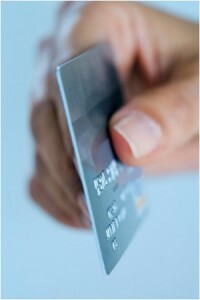 2 Are mobile phone contracts always a good source of consumer credit? 3 Which mobile phone contracts were a cheap source of consumer credit? 4 Which phones have the lowest “effective interest rate”? 5 Which phones have the highest “effective interest rate”? 6 How can I calculate my own “effective interest rates”? Why is a mobile phone contract just like a consumer loan? There are two ways you can purchase a mobile phone and airtime tariff. The first method is to take out a new Pay Monthly mobile phone contract. You’ll pay a flat monthly fee (say £37/month). In exchange, you’ll get a “free” mobile phone and a set allowance of minutes, texts and internet to use every month. The other method is to buy a phone upfront from a mobile phone retailer (this is called a SIM-free phone) and then to take out an airtime-only contract (called a SIM-only contract). These SIM-only tariffs are much cheaper than normal Pay Monthly contracts. You might pay something like £325 upfront for the phone but your monthly phone bill will then be lower (£21.50 per month for example). Table: The costs associated with purchasing a HTC HD7 on the “O2 600 + The All Rounder (500MB)” tariff on 20th August 2011. 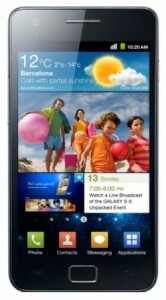 The HTC HD7 SIM-free phone price was obtained from Amazon.co.uk. 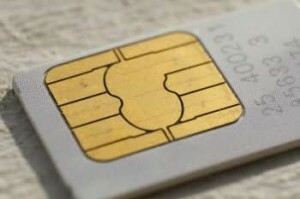 SIM-only tariffs only provide airtime: you’ll need to buy the phone yourself. When we comparing these two methods of purchasing a new phone (the HTC HD7 in this case), we notice the Pay Monthly contract shares a lot of the same characteristics as a consumer loan. With the Pay Monthly contract, you’ll no longer need to pay the £325 to buy the phone upfront. Instead, you’ll pay for the phone in monthly instalments of £15.50/month over the 24 months of your contract (the first £21.50/month is for airtime, the next £15.50/month is for the phone adding up to £37/month in total). This means that over the course of your 24-month contract, you’ll pay back a total of £372 for your phone (£15.50 x 24 months). If we treat a Pay Monthly contract as if it was a loan, we would say that you essentially borrowed £325 and paid back a total of £372 in monthly instalments over 24 months. 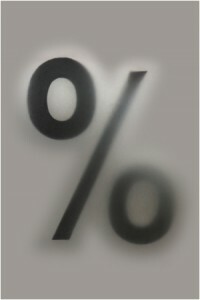 The interest rate which is essentially being charged on the loan is 7.0% APR (“effective interest rate”). This is much lower than the rate charged by a credit card or a bank overdraft (usually around 15% APR or higher for both). Taking a consumer loan at 15% APR would have resulted in total repayments of £430. 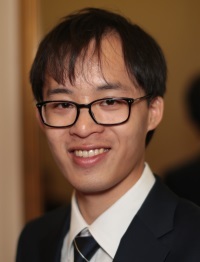 The conclusion is that in the case of this particular phone/tariff combination, the mobile phone contract is a relatively cheap source of consumer credit. Are mobile phone contracts always a good source of consumer credit? Not always – it depends very much on the phone and tariff you opt for. I’ve repeated the previous analysis to look at O2’s entire range of 33 Pay Monthly mobile phones. For the purposes of the study, I used the “O2 600 + The All Rounder (500MB)” tariff for comparison. Because the value of the mobile phone being offered was different in each case, there was a large range of “effective interest rates”. The “effective interest rate” on the these mobile phone “loans” went as high as 75.6% in one case (you’d be much better off borrowing the money from a bank to buy the phone upfront and then taking a SIM-only deal). In 14 of the cases, the “effective interest rate” was above 20% making these mobile phone contracts a very expensive source of consumer credit. Importantly, the study revealed that in 12 of the cases the mobile phone “loan” actually had a negative interest rate. For example, someone opting for the Samsung Galaxy S II would essentially be borrowing £471.80 for the phone but only paying back a premium of £10.50/month on their contract (a total £252 over the course of a contract). This “negative interest loan” where you pay back less than you borrowed has an “effective interest rate” of -26.9%. Which mobile phone contracts were a cheap source of consumer credit? The most significant finding in my study is the negative correlation between the value of the mobile phone being purchased and the “effective interest rate” being charged on it (see graph below). If you could buy the phone SIM-free for £300 or less, you’re probably paying quite a high interest rate on your mobile phone “loan” – you would probably be better off buying it on a credit card instead. For many smartphones (above £300), the interest rate being charged is actually negative. This negative “effective interest rate” reflects the extent to which the mobile phone operators are actually subsidising the cost of your smartphone purchase. Figure: There is a negative correlation between the value of a mobile phone and the “effective interest rate”. Source: Ken’s Tech Tips study. The raw data used in our investigation is available for download as an Excel spreadsheet. Prices were obtained from O2.co.uk, Amazon.co.uk (SIM free prices) and Apple.com (iPhone SIM free prices) on 20th August 2011. Which phones have the lowest “effective interest rate”? Which phones have the highest “effective interest rate”? How can I calculate my own “effective interest rates”? I’ve prepared an Excel spreadsheet to calculate the “Effective Interest Rate” on a mobile phone contract. Please feel free to download this and perform your own calculations. Although it remains a rather novel way to analyse the costs associated with a mobile phone contract, the comparison of mobile phone contracts to consumer loans is an interesting one indeed and has allowed us to draw several interesting insights. The effective interest rate being charged by O2 on the Galaxy S II is -26.9%. The main conclusion is that there are no obvious answers to whether it’s cheaper to go down the Pay Monthly route or the “SIM Free + SIM Only” route – it depends very much on the phone. There are some situations whereby it might just be better to buy a phone upfront on your credit card: in some cases this is cheaper than taking out a 24 month Pay Monthly contract. Download our spreadsheet and have a play around and you can carry out this analysis yourself. As a possible extension to our analysis, it’d be interesting to perform the same analysis for a cheap SIM-only network such as Giffgaff. We know that no-frills mobile networks such as Giffgaff provide great prices on airtime as they don’t provide any handsets. So could it actually be cheaper to buy a mobile phone on a credit card and then to opt for one of Giffgaff’s SIM only tariffs? Would you end up paying more or less compared to a traditional mobile phone tariff? Finally, for another framework to investigate the cost of mobile phone contracts, see our article on the “effective cost per month” calculation we sometimes use on Ken’s Tech Tips. This website is not in the business of giving financial advice nor am I qualified to do so. Taking out a consumer loan may involve additional risks (for example the risk your home could be repossessed if you fail to keep up with repayments). The figures given in this article (effective interest rates) may be calculated and quoted in a different way to consumer loans. This is an initial study limited to the “O2 600” tariff. The conclusions drawn here may not apply generally to all phones, networks and tariffs. This blog post is intended more as a description of a new methodology of analysing mobile phone tariffs. I’d love to hear your thoughts on the “phones as loans” analysis: please do drop me a comment and let me know what you think!